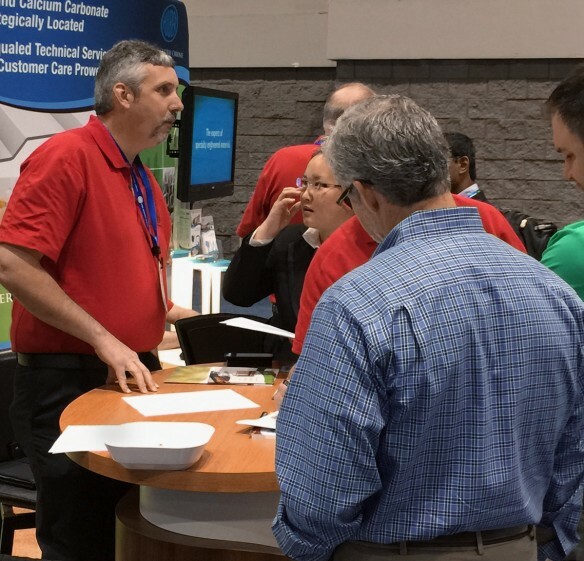 Our Annual Busy Fall Trade Show Season Officially Under Way! 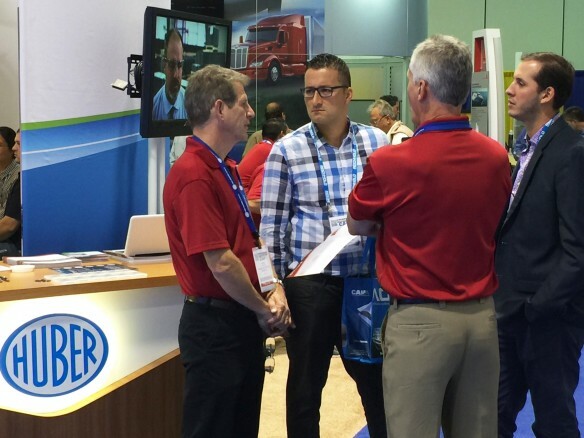 A busy opening day at SupplySide West (SSW) in Las Vegas! 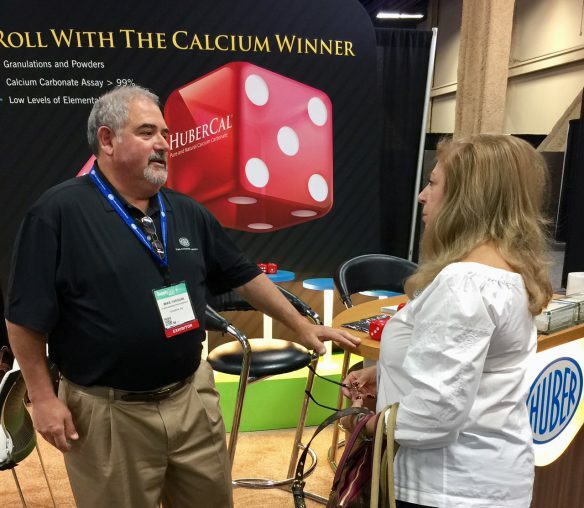 In the upper photo, Huber’s Mike Tarquini, Ph.D., explains the value and benefits of HuberCal® Pure and Natural Calcium Carbonate to a SSW attendee. Our HuberCal product display (bottom photo) has generated a lot of interest and questions. We cordially invite attendees for the rest of today and tomorrow to visit with us. 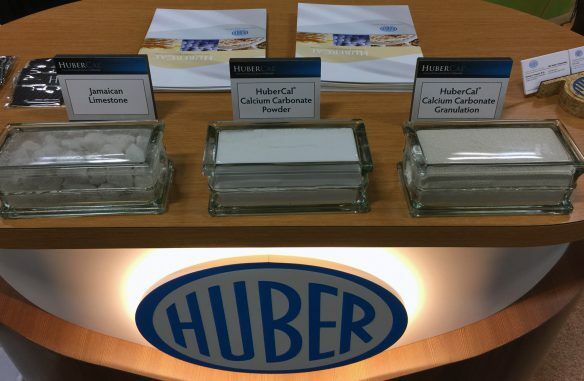 You’ll be able to see our HuberCal calcium carbonate for yourself as we have an interactive product display to share. We’ll also explain how our exclusive line-up of calcium nutritional products will benefit your next formulation. We cordially invite you to put us on your show exhibit itinerary and look forward to you stopping by and visiting with us! Be sure to visit our blog often in the coming weeks as we report live from these events in more detail. See you in person soon!